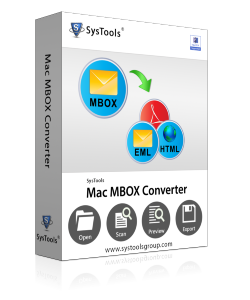 Mac Mutt to Outlook converter is developed to easily move Mutt Mail to PST Outlook file format on Mac platform. Mutt Mail to PST migrator software can move multiple files from Mutt email client to .pst format. You can add the files in bulk as well as convert them to Outlook data format. The software has the option to create a separate folder for saving saving multiple file after conversion from Mutt Mail to Outlook. It has a simple and user friendly interface. This migrator tool retains emails comprising of message properties that includes attribute like cc, bb, attachments and other header information. All the attached files are also retained without any alteration. Mac Mutt Mail to PST exporter provides a feature to all users to filter out all Mac mails according to a specific date range in particular duration. Supports all the Mac Operating Systems like Mac OSX 10.10 and 10.11 editions. Demo version of Mac Mutt Mail converter is freeware which previews all MBOX data. How to export Mutt Mail to Outlook PST? 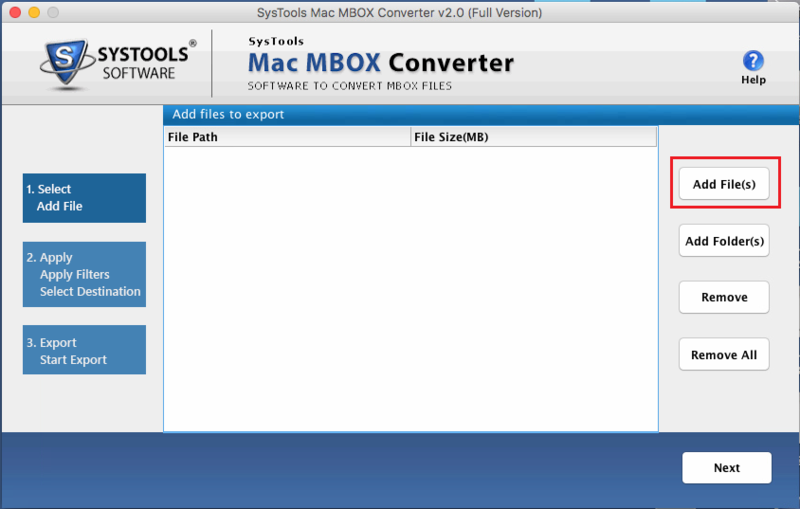 Open and browse the MBOX file or folder from stored location of the computer system and then click on Add option. Either a file or a folder can be selected by browse option. Scan and get the preview of normal email as well as its attachments. Also, the view can be switched either to vertical or horizontal position. The tool efficiently scans files /folders and shows them along with attachments. Export 'All' or 'Selected' mails depending on the requirement of the users, whether all or some items are required to be viewed in Outlook. Export and save the items as PST format after data is migrated. 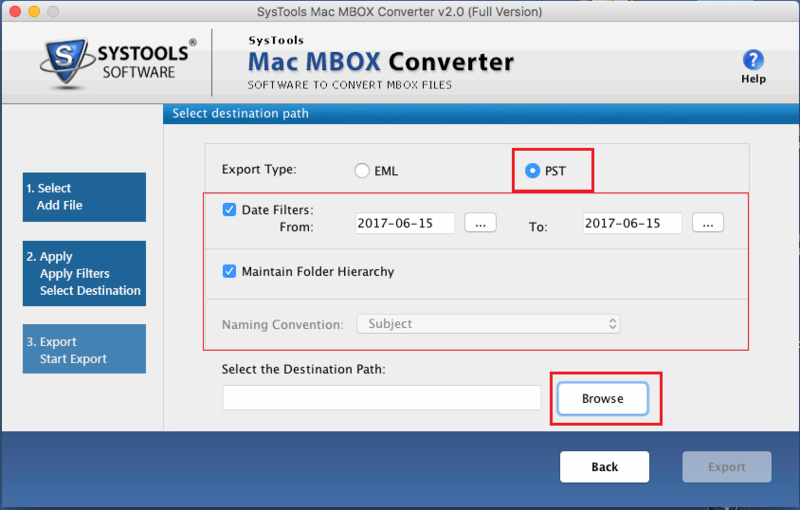 Here, single PST or multiple PST files can be created per MBOX file. Can I migrate the Mutt mail data files into MS Outlook with this software? Yes, since Mutt mail saves its data in MBOX file format. 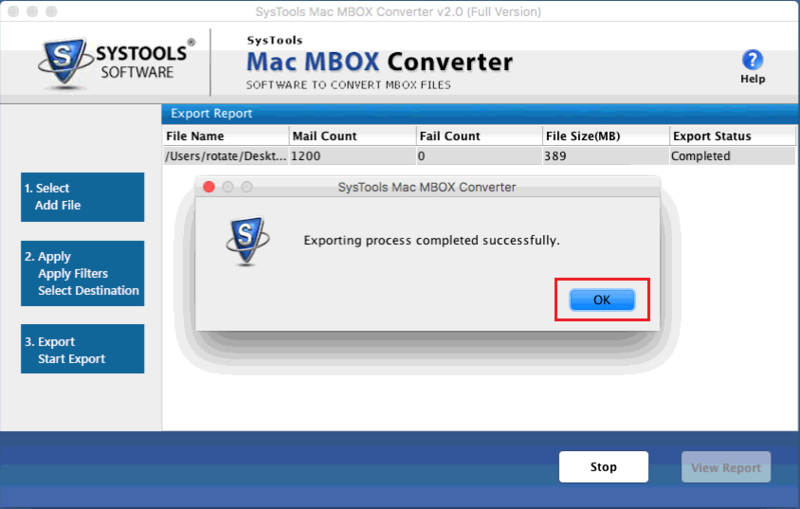 You can easily move these MBOX files to Outlook PST file using the software. For some reason I cannot start the export process of the tool. Is there any solution? I am not able to create output in destination. What to do? Please avoid source from NAS, SAN, Network or Shared Drive. Source file should be on migration machine to perform successful conversion. "Very efficient tool. Not many utilities out there are as effective as this one. I could easily convert Mutt mail to Outlook without any problems. Thanks to the team of developers."